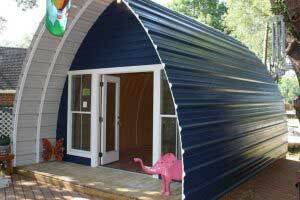 I’m always looking for new and functional storage solutions for our home. Although I like to think our place is pretty organized, it can always be even neater, right?! If you’re looking for ways to get clutter off of your household surfaces, you need to think outside the box — or more specifically, think the walls! 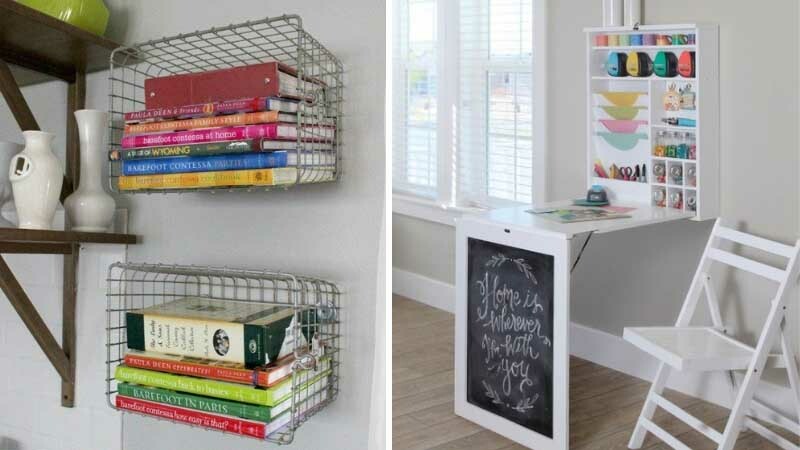 Here are 13 wall storage ideas to streamline and tidy your home. 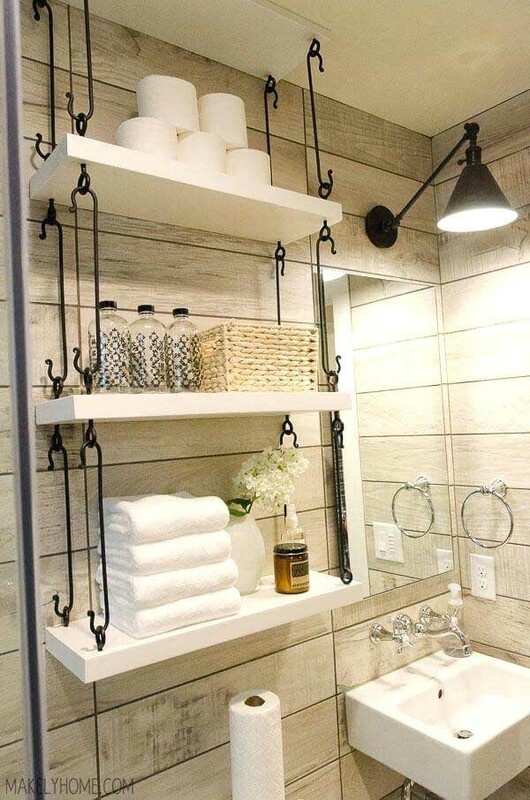 If your bathroom isn’t big enough to accommodate a cabinet, hanging wall shelves are a great alternative. 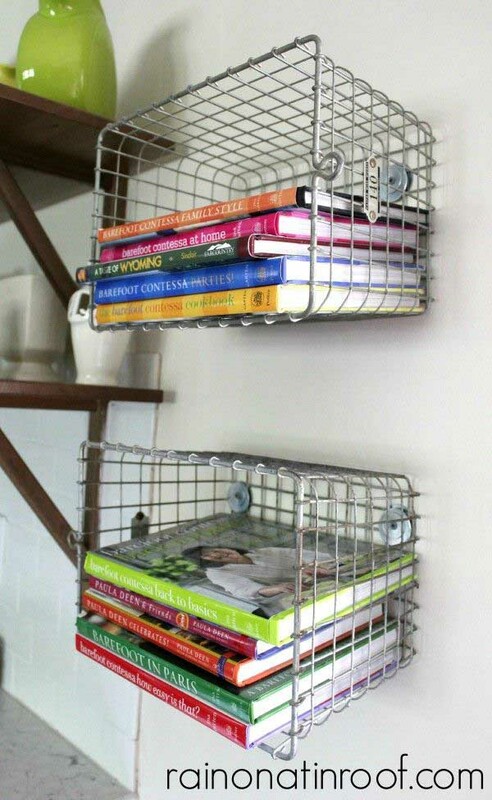 Fasten some wire shelves positioned on their sides to the wall in your kitchen for easily accessible cookbook storage. 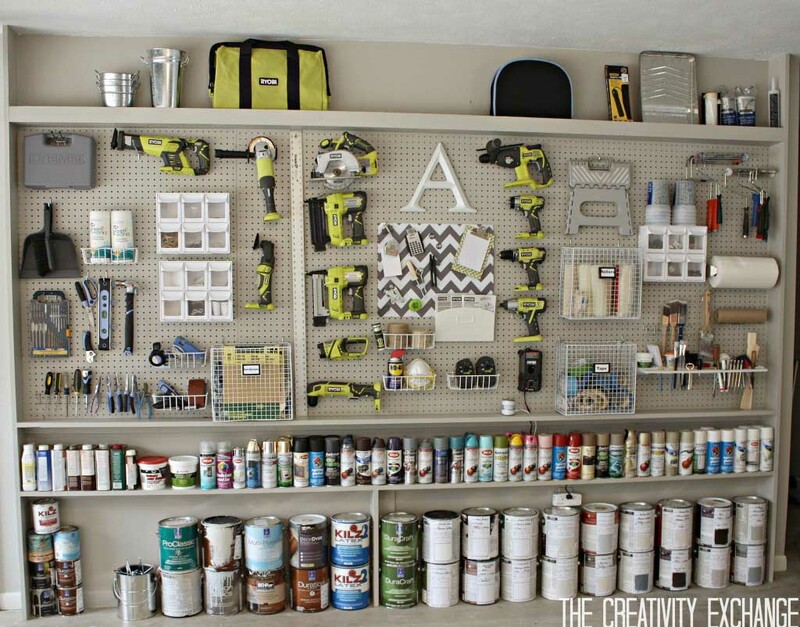 A sheet of pegboard is a simple, inexpensive way to organize your garage, kitchen, craft room, and more. 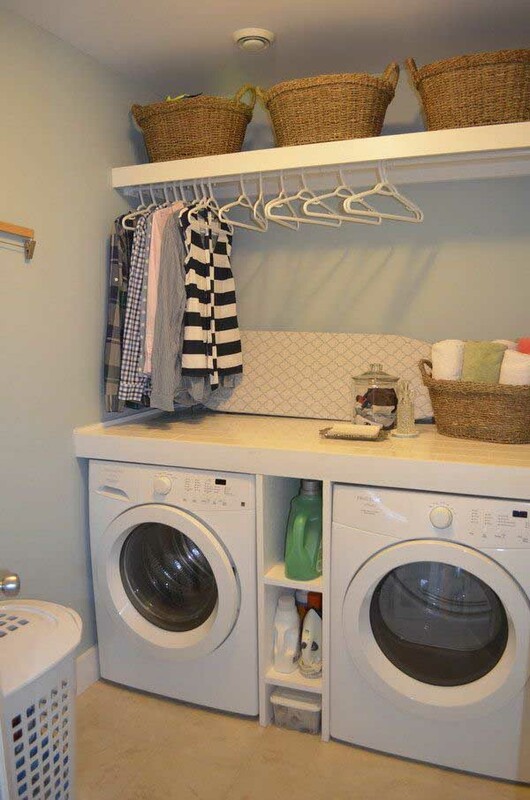 Installing a closet rod in your laundry room is a great way to hang clothes. Throw in a shelf overtop of the rod for even more storage. Murphy beds are so underrated! 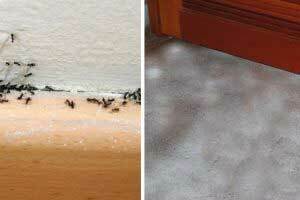 When dealing with a small space, they’re the perfect sleeping solution. 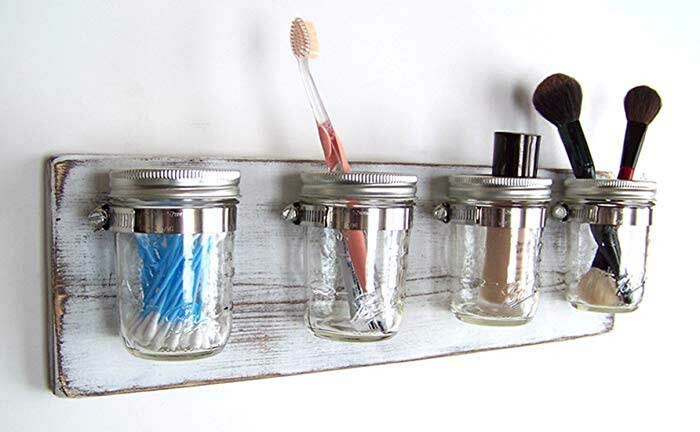 Attach some mason jars to a piece of wood, fasten the wood to your wall, and you’re left with an effective yet stylish bathroom storage solution. 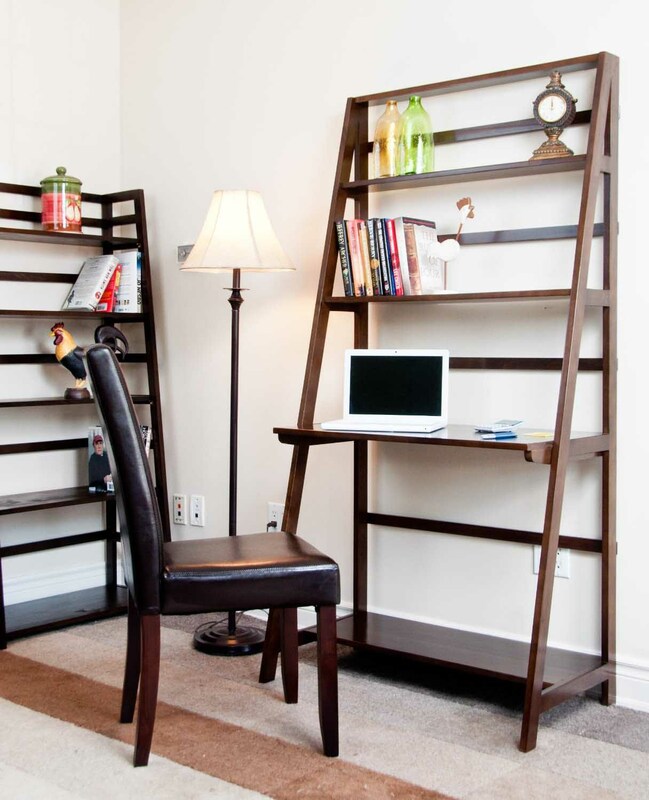 If you need a workspace but don’t want to take up a ton of room, a leaning desk is the answer! 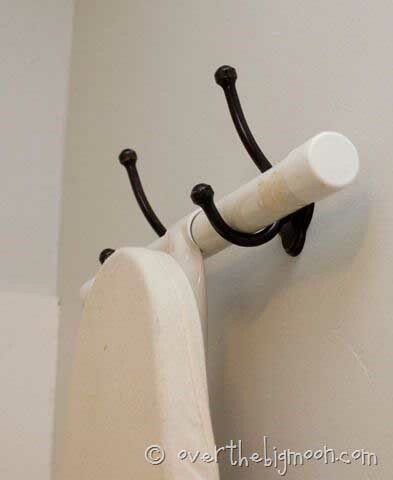 Use two coat hooks to hang up your ironing board! 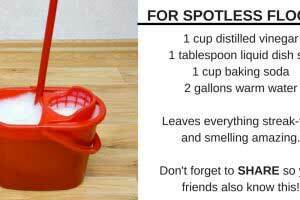 You could hang it on the wall or even on the back of your laundry room door. 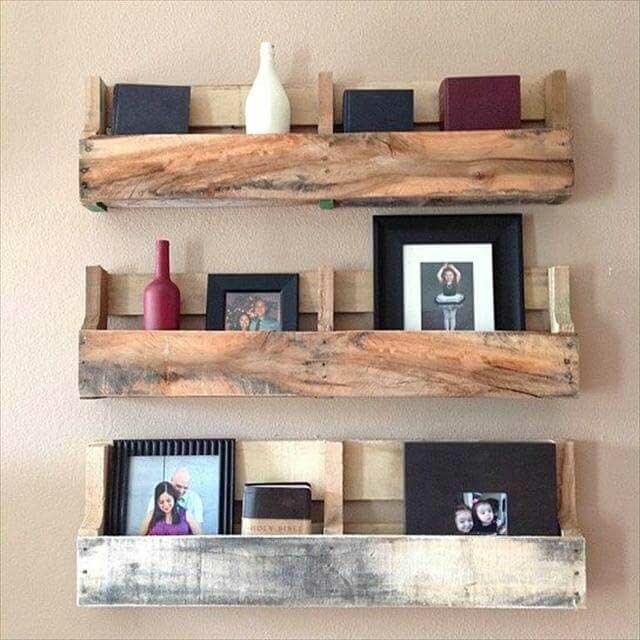 Repurpose some wood pallets into rustic-inspired shelving for your favorite possessions! 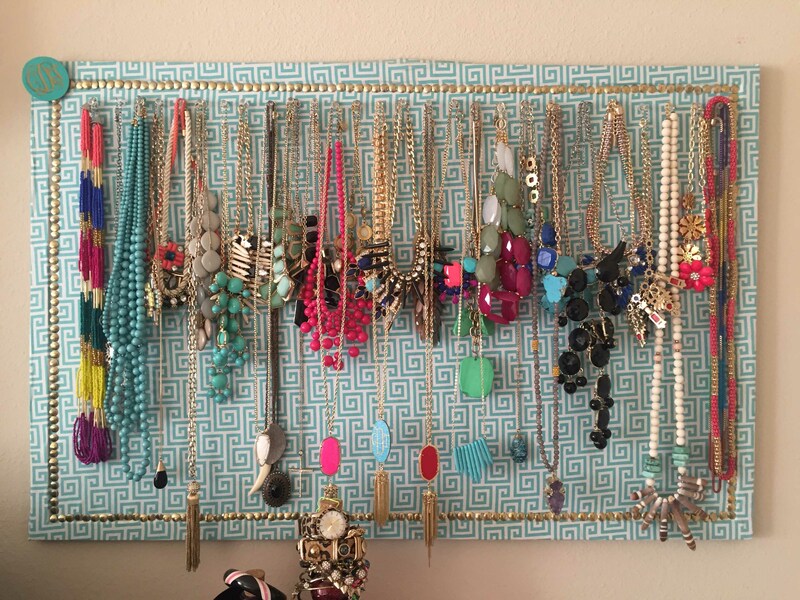 To ensure your jewelry stays organized and untangled, a corkboard and some pins are all you need. 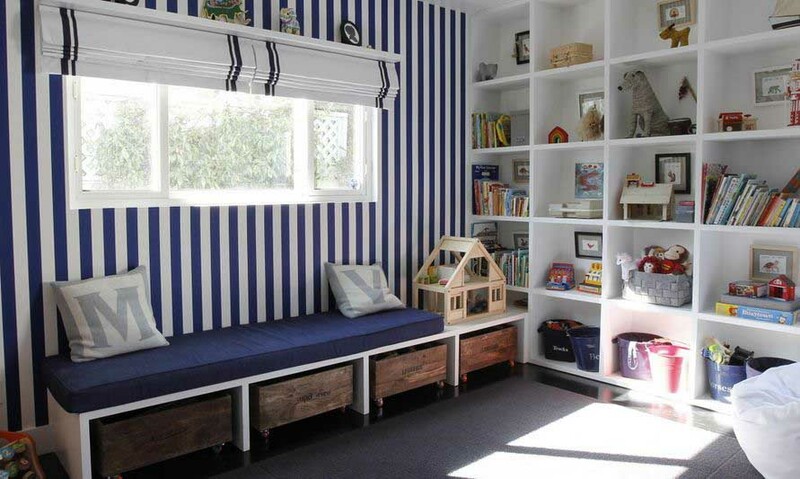 This kids’ playroom is an organized oasis with the help of bench seating, rollout storage bins, and floor-to-ceiling storage shelves. 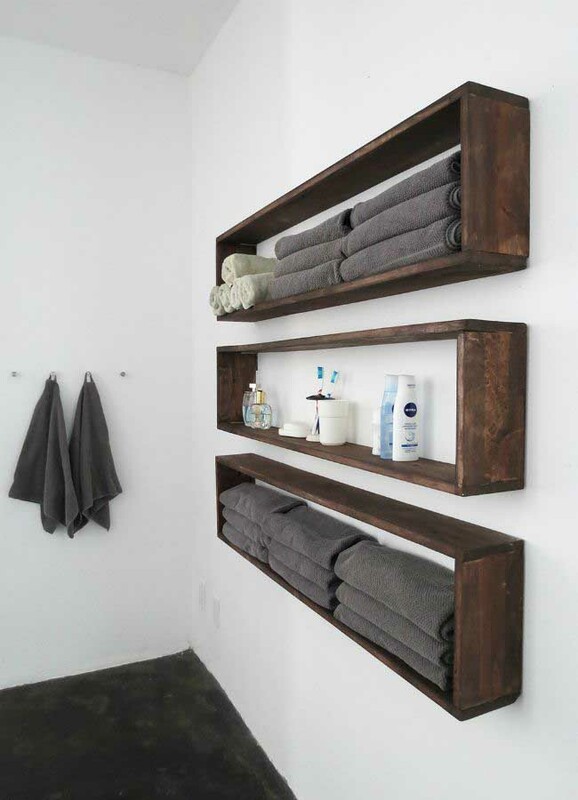 A set of shallow shelves is a space-saving storage alternative to bulky cabinets and bathroom vanities. 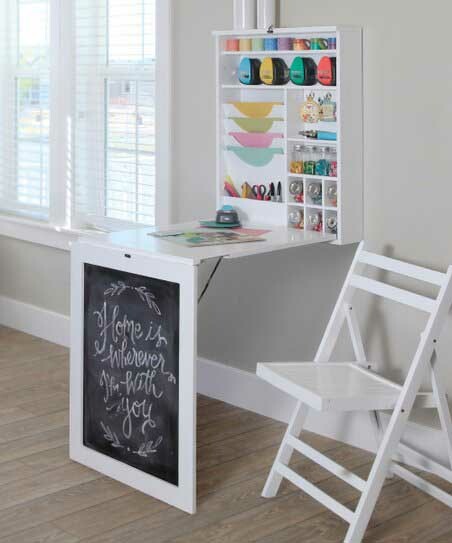 A fold-down craft station (or gift-wrapping station) is a great solution for a tight space!